The brown recluse life cycle begins when females produce the eggs which are then fertilized by the male and contained within the female’s egg sac. The eggs hatch within the sac, and undergo their first molt. They won’t emerge from the sac until about 27 days after the eggs hatch. Female brown recluse spiders generate 1-5 egg sacs during their lifetime and each egg sac may contain about 50 eggs. These spiders develop egg sacs between February and September, with most development from May through July. Spider nymphs are usually called “spiderlings.” The growth and maturation of the brown recluse spider life cycle takes place via molting, which in simple terms is the shedding of the spider’s outer shell. This shell provides the body’s support and must regularly be shed to let the spider grow. Immature spiderlings will molt from 5 to 8 times before becoming mature adults, a process that take about one year to accomplish. Spiderlings emerge from the female egg sac within 3 to 5 weeks and stay in the web with their mother for one or two additional molts before migrating to other suitable habitats. Young spiderlings of this species are slow to grow and may reach maturity in about one year. Their developmental period is influenced by factors such as food quality, quantity, and weather conditions. However, brown recluse spiders are equipped to be especially capable of surviving for extended periods without food or water. 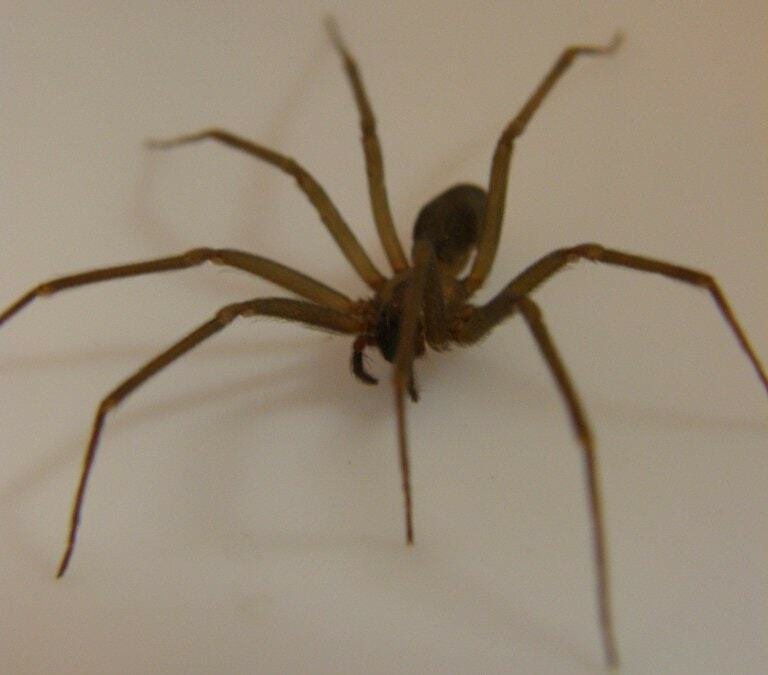 Most female and male brown recluse spiders mate during June and July. Reproduction involves the fertilization of the female’s eggs by the sperm from the male spider. The brown recluse spider life cycle has been reported to last up to two years or more in captivity. It is quite possible that they may go through two winters in outdoor conditions. Despite their usual timid nature, these spiders are inherently more dangerous than other spiders because they have adapted their habitat to live in close association with people.